Adapted for transportation of overweight truck from W T D “Mercedes Actros Big Stars – Actros / Arocs SLT”. 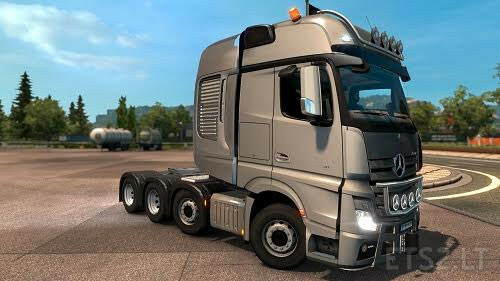 – Added branded headlights “Mercedes”. impressive. any changes to the interior?